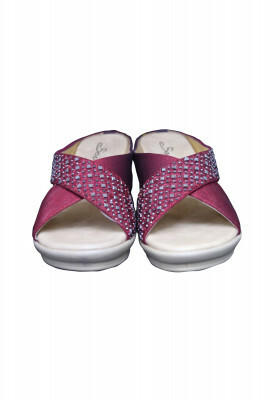 Maroon colored china leather shoe for women, comes with nice stone and karchupi work. 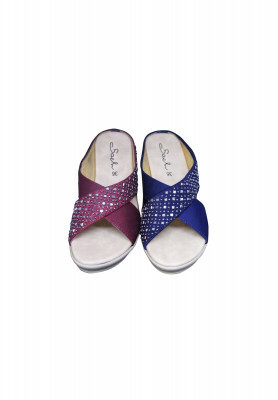 Long lasting and durable, and quite comfortable to wear as well. Product is imported from China. Two color options available.